The Walking Dead episodic adventure games are some of the best we have gotten to play in recent years, no doubt. And given how good the first two seasons were, many expected that developer Telltale would have a hard time delivering more of the great gameplay and story players enjoyed in the earlier Walking Dead games. But the American outfit sure delivered another great dose of post-apocalyptic adventuring with The Walking Dead: A New Frontier. Because the truth is that the first three episodes of the new game (Ties That Bind – Part I, Ties That Bind – Part II, and Above the Law) have been pretty good, and have lived up to what Telltale delivered in seasons one and two. So it makes sense that many are eagerly waiting for Episode 4 of this third Walking Dead season, which we now know will be released in just a few days (April 25 to be exact). 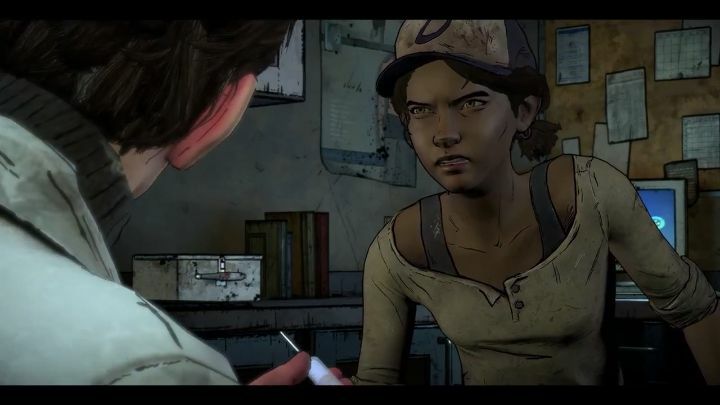 This episode is titled “Thicker than Water”, and Telltale has now put out a trailer giving us a glimpse of what characters like Clementine will be up to in this upcoming episode of The Walking Dead. And hopefully this third episode will feature the same engaging choice and consequence gameplay we have seen in The Walking Dead to date, and reveal more about key characters like Clementine and Javier, as well as delivering more exciting gameplay in its zombie-infested world, when it’s released later this month. Note: The Walking Dead: A New Frontier – Episode 4 will be released on April 25. Available on PS4, Xbox One, PC, iOS and Android.